Since we have moved house, I have obviously been spending as much time as I can sorting through boxes, unpacking and organising all our things. 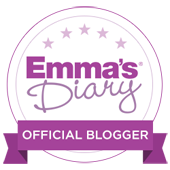 I am literally astonished at some of the stuff I threw into boxes in a last minute rush before the big move day and as such, we are now having to sort through so many boxes of things which we no longer want or need. In particular, I've noticed that the boys' wardrobes are in dire need of a little update. 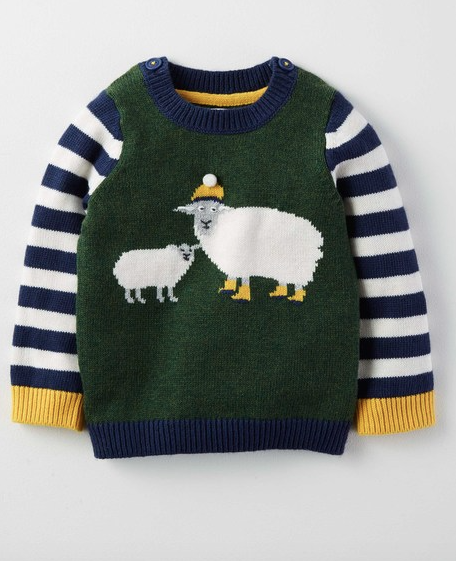 We seem to have box upon box of old baby clothes which need sorting and packing away, selling or sending to the charity shop, but this would leave the boys' drawers looking very empty. One problem I have every season is that because they were born at opposite times of year (LO in July and Little L in January) it's hard for Little L to fit into many of LO's old clothes as he was in 9-12 month clothes during the summer, not mid-winter. I noticed they're both lacking some essential cosy winter wear and felt they could both do with a few staple pieces to see them through to spring. Plus we are off to Tignes in January for a skiing holiday so I want them both to have some cosy winter wear for then too. 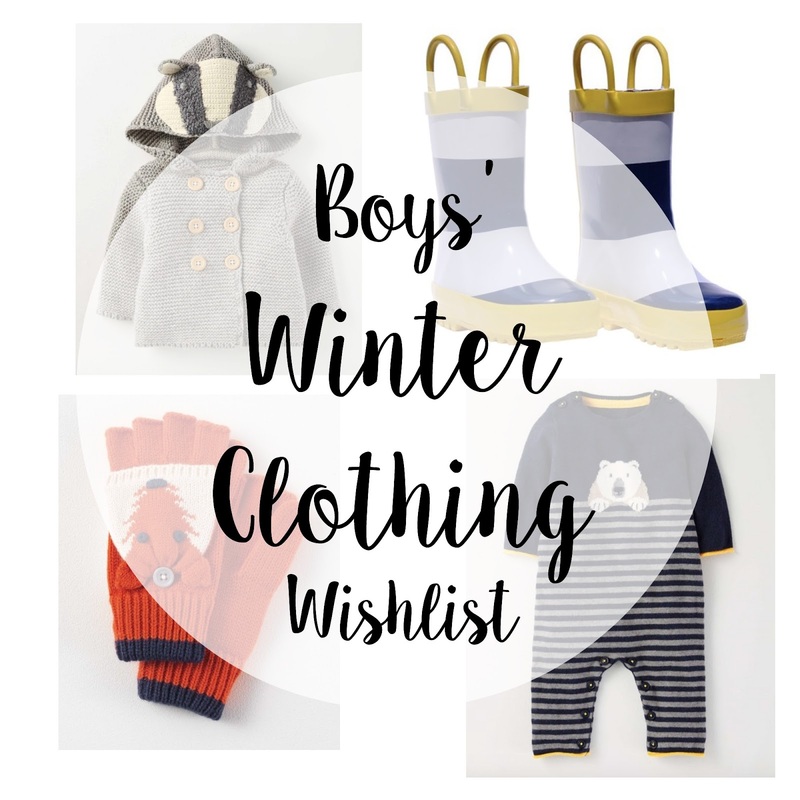 Here are some of the pieces I have on my winter wishlist for the boys. I absolutely love dressing L in rompers still and he just seems to really suit them. This woolly one is perfect for cold winter days and I love the little flashes of yellow on the cuffs and ankles. 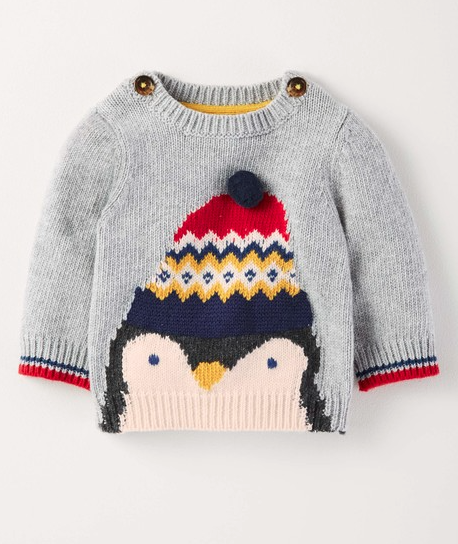 These jumpers look so snuggly and I love the animal designs on the front. 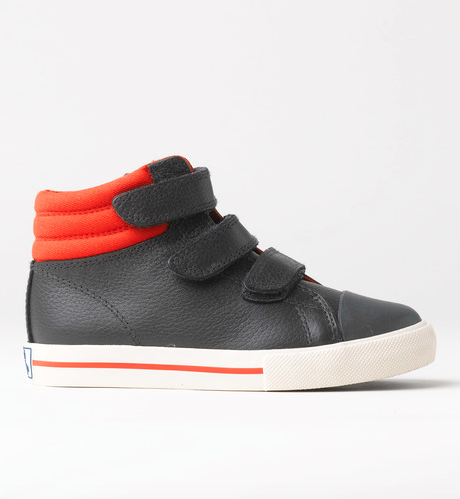 I'd pair these with a simple pair of leggings for a really snuggly winter outfit for our baby boy. 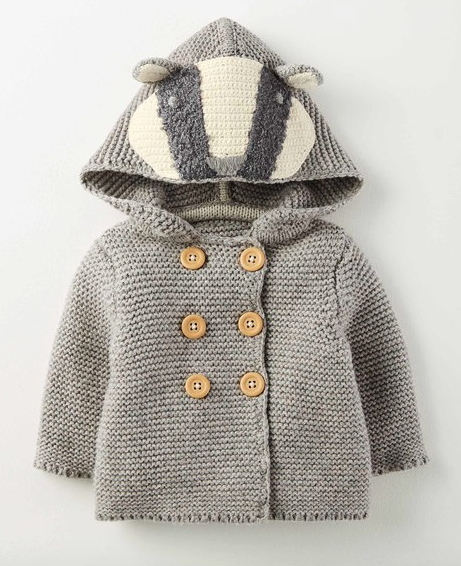 Our baby boy could really use a snuggly cardigan to put on for trips in the car in the winter so he doesn't need to wear a coat and then take it off again to go in his car seat. 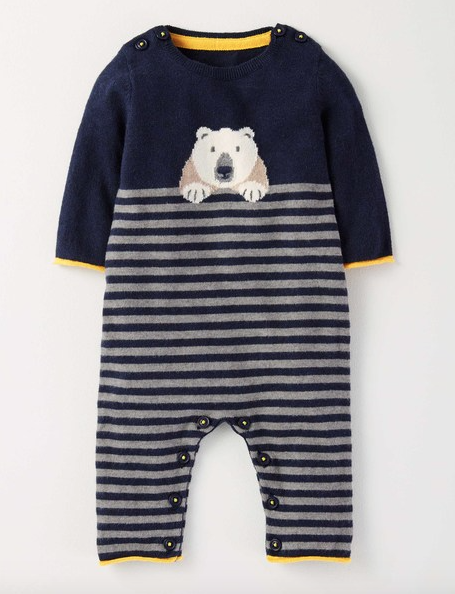 This is perfect as it isn't as bulky as a coat but will still keep him warm. I love grey as well as it goes with so many other colours. 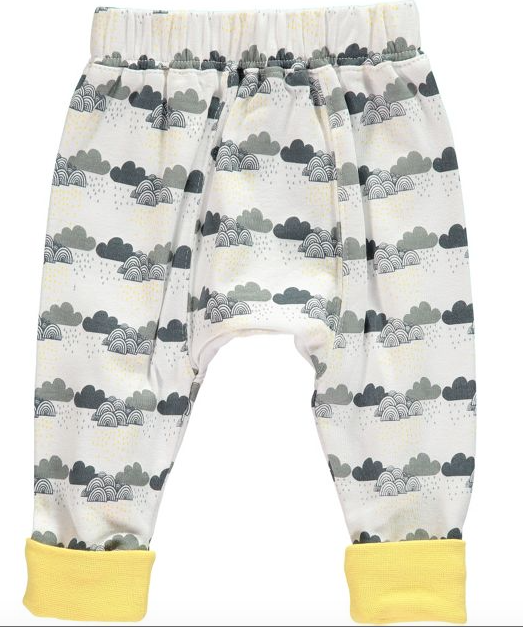 I'd say I dress our baby boy in either leggings and a top or a romper most days, so I'm always on the look out for new designs and I think £7.20 for a really good pair of Rockin Baby leggings. They have so many lovely designs too. 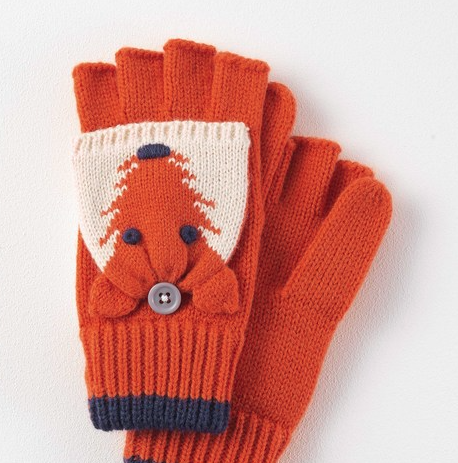 Everything fox seems to be really popular this season and I absolutely love these gloves with mitten fold overs. They're perfect for young children who want to have cosy hands but don't like having their hands restricted. I'll definitely be taking some of these on our ski trip for LO. 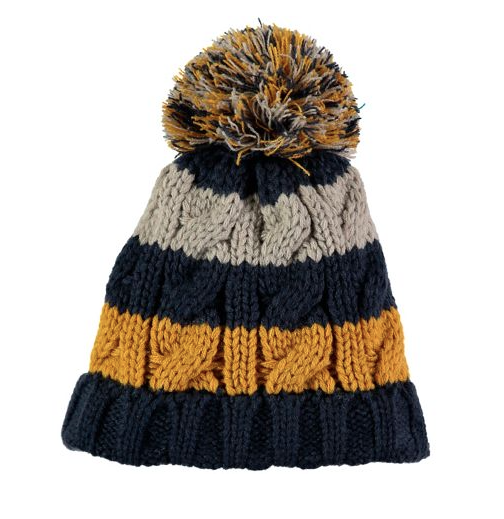 LO and I love a good bobble hat and he has become quite renowned for his love of them, especially his green bobble hat which he is rarely without. He saw this one and said he liked it and for £6.00 I think it's a total bargain. When it comes to shoes, in all honesty I have tended to only have one pair for LO plus a pair of wellies as his feet grow so quickly. However recently we have found that if his shoes get muddy or wet, he doesn't have anything else to wear, plus his current shoes don't really go with may clothes. He's had high-tops before and enjoyed wearing them. These leather ones come in a couple of designs and are perfect for winter. We are a bit obsessed with yellow and I think LO wears yellow most days in fact. He also loves his wellies but really needs a new pair. 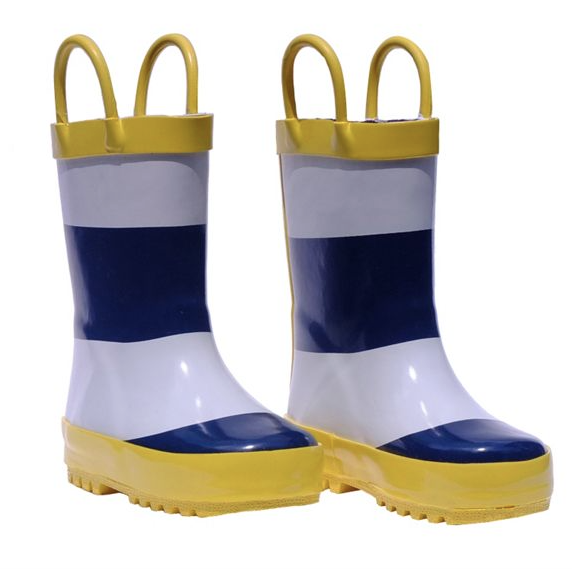 These are such a fun design and would go perfectly with his yellow fisherman's coat. 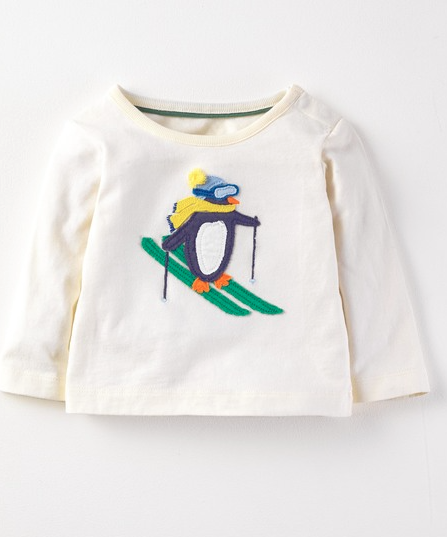 I saw this top and straight away I wanted to get it for our baby boy for our skiing trip, but equally he could wear this throughout the winter season, paired with a nice pair of leggings or joggers.